AUSTIN – Public hunters pursuing feral hogs at Cooper Wildlife Management Area in northeast Texas over the weekend stumbled upon a sophisticated marijuana growing encampment having more than 6,500 mature plants with a street value estimated at more than $6 million. 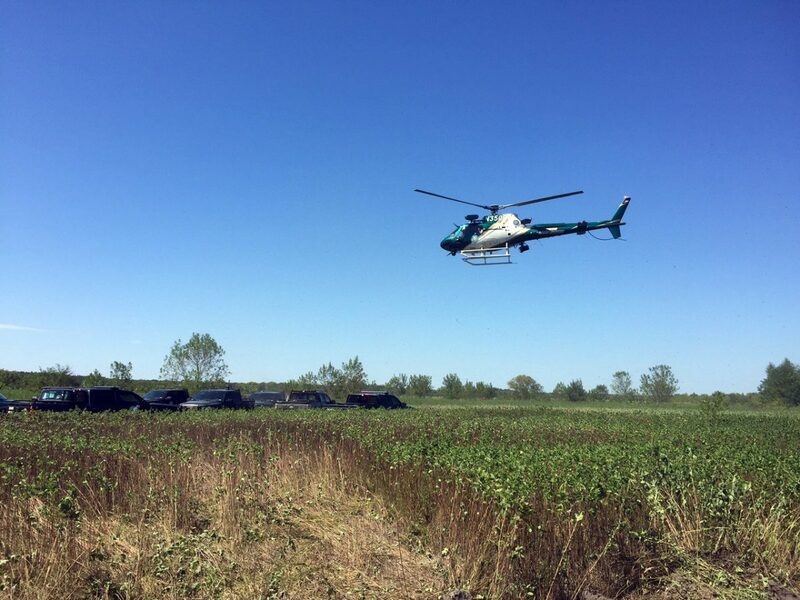 Alerted by the public hunters, Texas game wardens led a multi-agency investigation of the well-established site tucked away in a remote swampy area of the 14,480-acre WMA about 70 miles northeast of Dallas. Wardens found a campsite with tents, farming tools, fertilizer, a generator and water pump irrigation equipment indicating the operation had been ongoing for some time. An extensive search of the area from the air and on the ground by game wardens, Delta and Hopkins County Sheriff’s Offices, Texas Department of Criminal Justice tracking dogs and Texas Department of Public Safety troopers netted no arrests. 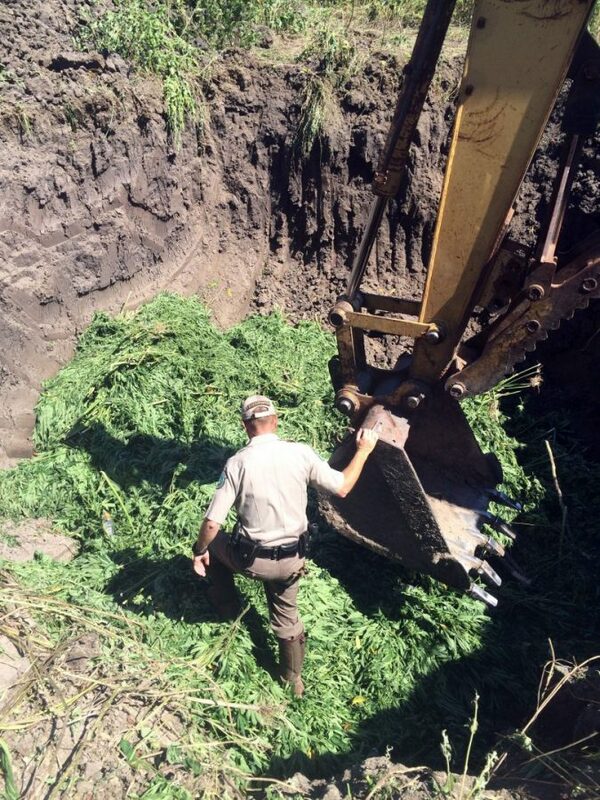 Officials destroyed all the marijuana on site and seized the property and equipment. Fried said illegal marijuana growing operations are not unheard of in remote areas, both on public and private lands, but it is uncommon to catch the illegal farmers in the act. “It’s something we keep our ears open to, but this is the first one I’ve seen on Cooper,” he said. In all probability, the growers would have harvested their crops and left prior to the archery deer season opener in early October. “They would’ve folded up shop by October 1 ahead of archery deer season opening, but obviously didn’t figure in the opening of teal and feral hog hunting season in mid-September,” Stapleton noted. Instead, they got an early season wakeup as their efforts to grow marijuana crops valued at $6 million went up in smoke.